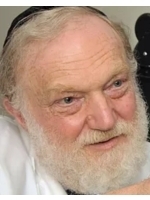 Yerucham Reich, known professionally as Raymond Reich, MD, was born in Williamsburg, Brooklyn, to Holocaust survivors of Galitzianer Chassidic background. 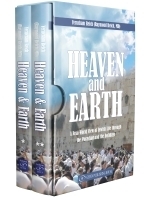 He attended Yeshivas Rabbeinu Yitzchak Elchanan, holds a BA from Yeshiva University, an MD from the Albert Einstein College of Medicine, and postdoctoral training from Downstate Medical Center and Harvard Medical School. He is founder and director of Reich Medical and Surgical Eye Care in Brooklyn, New York, assistant professor of ophthalmology at Downstate, and co-author of a widely acclaimed medical textbook. He is married to the former Sue Hilsenrad, has children and grandchildren, and now, a great-grandchild.